We don't know how to feel, tbh. I'm not ashamed to admit that I once got all dolled up for the sole purpose of taking a new profile picture, and I'm pretty sure I'm not alone. (You can lie to me, but not to yourself!) There isn't anything we wouldn't do for the perfect selfie; people have actually fallen to their deaths trying to take an epic one. 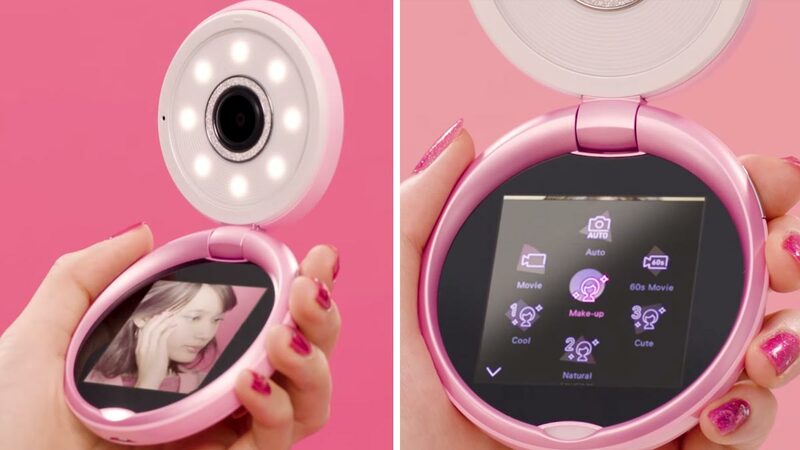 But are you willing to spend almost P50,00 on a camera that claims to take a flawless selfie? You're probably wondering, "Why would I buy a camera when my smartphone works just fine?" Casio has been successfully selling compact cameras meant for selfies for the past few years so maybe there's a significant difference in quality! The Verge reports, "Casio says its users commonly refer to the TR cameras as the 'selfie God device,' and although the company won't provide detailed sales data, the cameras are popular enough in Asia to command a price of around $900 (almost P50,000) for relatively unremarkable hardware." Casio just debuted the TR Mini, "a completely new camera with a smaller, circular design and a ring of eight LED flashes around the lens that give greater control over selfie lighting." Unlike the previous model (TR-80), the TR Mini costs $500 (around P26,000) and will be available in China, Hong Kong, Singapore, and Taiwan. So what can the TR Mini do exactly? Marketing manager Takashi Niida shared, "Using the eight LED lights, we can provide uniform lighting from any angle, but also we can illuminate just the left or right sides of the faces to create various looks." It also has "different modes—like Sculpt, Slim, and Shadow—that change the way your face looks, and there are further features designed to remove moles, circles under eyes, and so on." On top of that, its wide lens "can capture your face and shoulders or multiple people at once, but Casio says that TR camera users also like the focal length because it has a slimming effect on the face."